At its first general meeting, October 1915, women from England, Ireland, Scotland and Wales formed a Committee to support the work of the International Committee and adopted the title ‘Women’s International League’ (WIL). During its first year, WIL organised weekly study meetings, public events, conferences and debates. 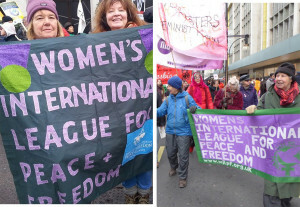 In the year membership grew to 2,458 women in 34 branches across England and also in Cardiff, Edinburgh, Glasgow and Midlothian. WIL had an office, staff and paid organisers. 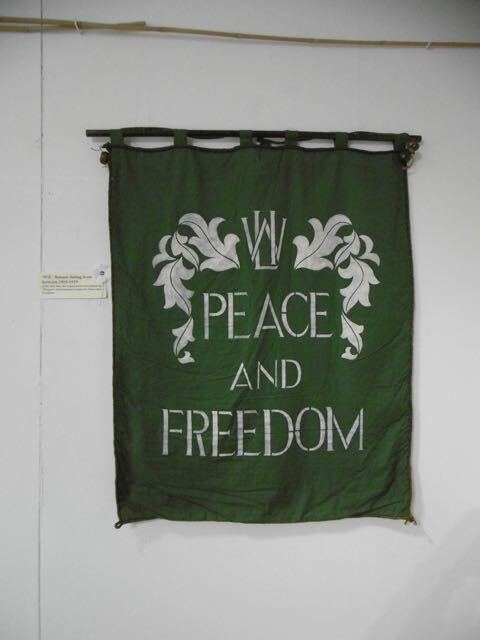 As well as its own work which was focused on propaganda and educational campaigns, WIL affiliated to the National Peace Council and worked with other organisations on committees for Free Trade, Adult Suffrage and Peace Negotiations. In spite of all the restrictions of the war WIL achieved a lot; its Literature sub-committee produced numerous pamphlets and periodicals and leaflets. It sold 5,500 copies of a leaflet ’Women’s Case against Conscription’ and 2,000 copies of ‘Why not Negotiate’. WIL organised, a public meeting on 16 December 1915 “To present the Women’s Case against Conscription”. Following the formation of NCF in December 1915 Catherine Marshall attended the first convention of the NCF as a WIL delegate and gradually her energies went into the pressing work of the NCF. She took over Clifford Allen’s work as Secretary when he was imprisoned. The League’s position on conscription was made clear in the resolution sent in February 1916 to Prime Minister Asquith, Sir John Simon, Philip Snowden, the press and ICWPP secretaries across the world. ‘WIL holds that Conscription introduces militarism in its most pernicious form, endangers industrial liberty, and is the gravest infringement of the rights of conscience and of the liberty of the subject….and it resolves to work in every legal way possible for the repeal and against the extension of the Military Services Act’. As the war proceeded public attitude gradually changed and during 1916 anti-militarism agitation started to include more people and locations. Helena Swanwick addressed crowds of 2,000 in Cardiff. Ethel Snowden recorded that in less than a year she addressed 133 public meetings with an average attendance of 1,000 people all agreeing to a petition for a negotiated peace. In the Home Office file “Anti-recruitment and peace propaganda”, which listed 115 peace groups in the UK, the British ICWPP section (WIL) is marked as one of the most prolific at distributing literature. 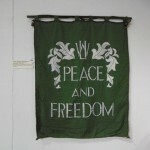 Helen Crawfurd, who with Agnes Dollan, had set up the Glasgow Branch of WIL in late 1915 and went on to establish the Women’s Peace Crusade to take a more militant and socialist stance to anti-militarism. A crowd of 5,000 attended the Women’s Peace Crusade Demonstration on 23rd July 1916 in Glasgow. That year Helen Crawfurd was appointed WIL’s Scottish organiser recruiting new members and setting up a Branch in Aberdeen. Across Britain membership continued to rise and by October 1917 was 3,576 members in 42 branches.